Thankful the Senate passed Open-Carry and that it’s on its way to Governor Abbott for his signature. Rarely do Sen. Rodney Ellis and I agree, but on the prohibition of policemen that prevents harassment of law-abiding citizens and racial profiling of minorities, we are in full agreement. 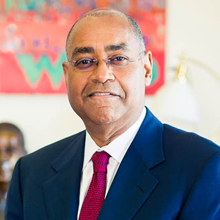 Said Senator Ellis, “If somebody is going to be profiled for walking around the streets of Houston or Austin with a gun, someone who looks like me is more likely to get stopped.” Senator Ellis is a black man. I agree wholeheartedly. 44 of our 50 states were already open-carry states. Texas and California were among the 6 that prohibit open-carry. Why? In a word: racism. Our post-Reconstruction state legislature (all Democrats) didn’t like the idea of former slaves walking around with handguns. A law prohibiting Texans from carrying handguns was passed to disarm the freedmen, but it backfired. As a consequence, all law-abiding Texans were barred from ordinary armed self-defense until 1995 when Gov. George Bush signed the concealed-carry bill into law. It took a lot of years for many Texans, particularly business owners, to become accustomed to concealed-carry. It will take a lot of years for many Texans to become accustomed to open-carry. Let’s be patient with them. You will notice that the appearance of an armed law enforcement officer in a public place does not arouse hysteria (Eeeek! He’s got a gun!). The subtle belief is “only government should have guns”. Well, our fellow citizens, including the liars from Moms Against Guns and Michael Bloomberg, must come to grips with a Constitutionally guaranteed right to keep and bear arms. Assailants will soon learn whom they can and whom they cannot easily attack with confidence.